The Minnesota Timberwolves are still working to trade Jimmy Butler. The 29-year-old forward asked to be moved out of Minnesota in mid-September and missed a large part of the team's preseason activities. But, Butler returned to practice earlier this month and is expected to play in the season opener against the San Antonio Spurs on Wednesday. Minnesota owner Glen Taylor, however, told the Star Tribune the team will continue trying to deal Butler, who can become a free agent after 2018-19. "I think that he's made it very clear that he would not re-sign with us at the end of the year," Taylor said on Tuesday. "Therefore, it is in our interest to get a trade so that we can get a player or two to replace him that helps our team." Taylor said he expects Butler to give maximum effort when he is on the court, despite his trade demand. "[Butler] said that is the only way he knows how to do it," Taylor said. 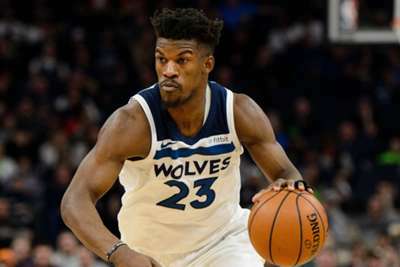 Some have criticised the way Timberwolves coach and president of basketball operations Tom Thibodeau has handled the situation, but Taylor said he was supportive. "Initially, when Butler told him that he wanted to leave you know Tom did everything he could to try to keep Jimmy here," Taylor said. "I understand that. They have a close relationship. "Thibs brought him here so that he would stay here, but eventually I think that listening to Jimmy, Thibs and I are lined up on this. We need to be looking at a trade." Taylor said Thibodeau's job is not in jeopardy. "No, no. The only thing now is that we are starting to play games and I am asking him to concentrate on coaching," Taylor said. "GM Scott Layden will help to see if any trades are available." Thibodeau also coached Butler with the Chicago Bulls from 2011-15. 2:00 PM Harden or Giannis: Who should be the NBA´s MVP? 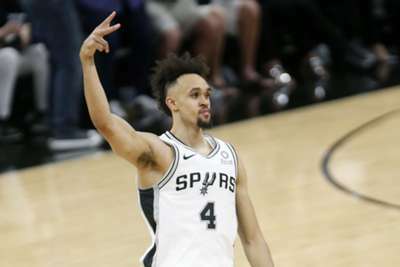 Mike Malone is eager for his Denver Nuggets team to respond after they were undone by San Antonio Spurs guard Derrick White.